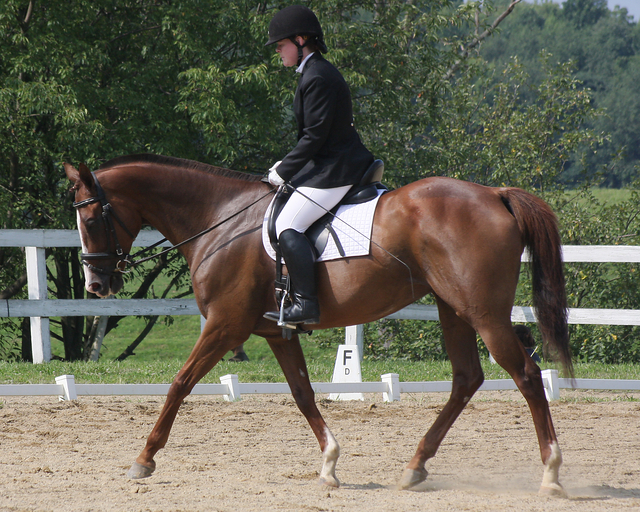 Jim DiMilte is a classically schooled USDF certified instructor specializing in dressage with years of experience and a passion for riding and teaching. 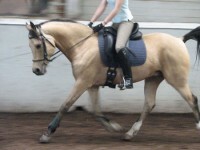 I was even able to bend her in the canter like I tried to do in my lesson, which prolonged the duration of the canter. 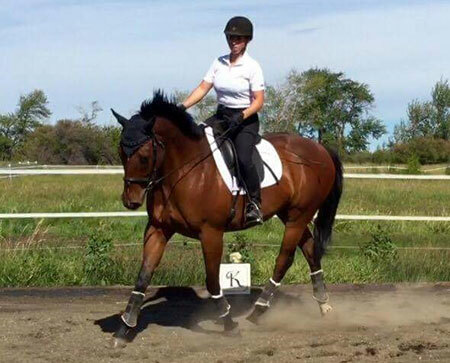 I would bend her around my leg and as I released, she was more willing to keep going because she learned it was easier than cantering with a bend. It amazes me how fast she learns. 88 rides to go! 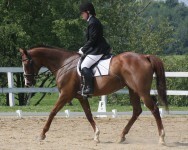 Jim DiMilte is a certified riding instructor who has ridden with many of the most respected names in the dressage world. 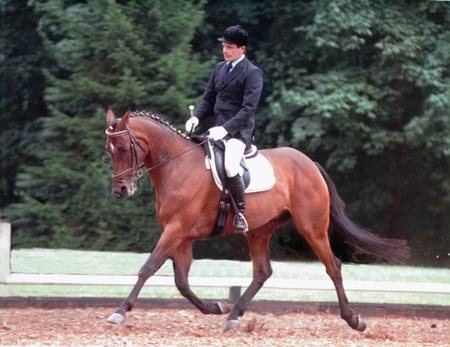 While being certified by the Morven Park International Equestrian Institute in 1971, Jim studied with Major Joseph Lynch, the 1968 US Olympic Team coach, and Jimmy Wofford, one of that team's riders. 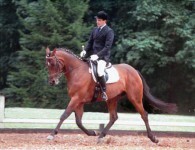 Since that time Jim has pursued excellence in dressage, studying with Hans Möeller and Hans Handler of the Spanish Riding School, Charles DeKunffy, Hilda Guerney, Dominique Barbier, Natalie Lamping, Tom Poulin, Michael Handler, Lilo Fore, Sonja Vracko and many other respected and accomplished clinicians. Jim has also had the opportunity to attend clinics where he learned from Reiner Klimke, Robert Dover, Christine Stüeckelberger and Gustav Nableaus, former president of the FEI dressage committee. These experiences amount to a terrific repertoire of learning from some of the world's greatest dressage riders. 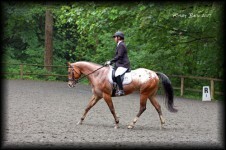 He has attended the seminars of Sally Swift, taken classes in human and equine anatomy, physiology and psychology and has undertaken extensive work from practitioners of Rolfing and the Alexander techniques of bodywork. This makes him uniquely qualified to more fully understand the workings of the human body as it moves with and directs the movement of the horse.